Whether that space is awe-inspiring and transcendent or simple and contemplative; our goal is to create beautiful architecture that glorifies God, expresses your faith, and supports prayer. 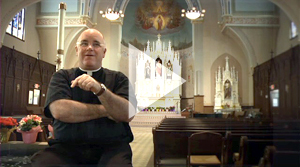 Father Tom Fangman, pastor of Sacred Heart Church in Omaha, Nebr. talks about what it meant for him to work with RDG Planning & Design during the restoration of this 110 year old church. 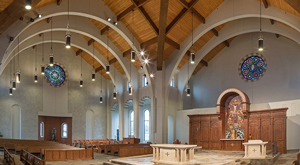 Architect Randy Milbrath discusses what considerations to think about when designing storm shelters for worship spaces and provides a real-world case study of the rebuilt St. Mary's Church & School that was devastated by an EF-5 tornado in Joplin, MO in 2011. Each faith community has different needs. We understand. Our deep experience reaches across faiths and includes many aspects of religious projects — from furniture to artwork to fundraising support.